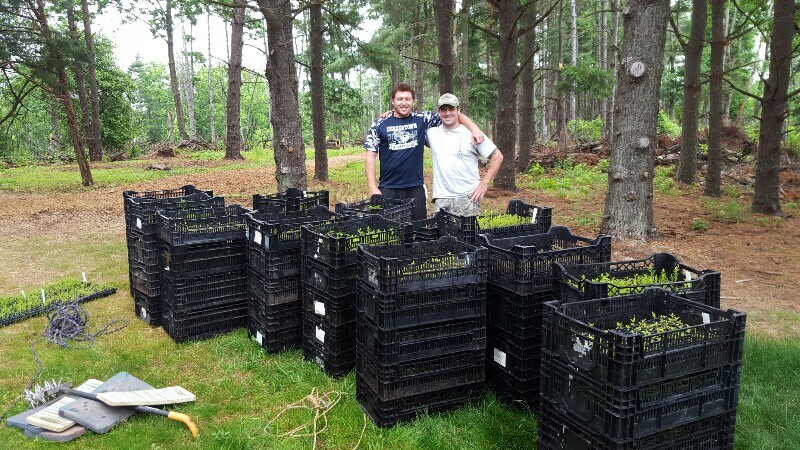 ArcheWild supplied the plants and labor for a forest restoration program in New Jersey. The total number of plantings, to occur over five years is 125,000 plugs as well as a many potted trees/shrubs. 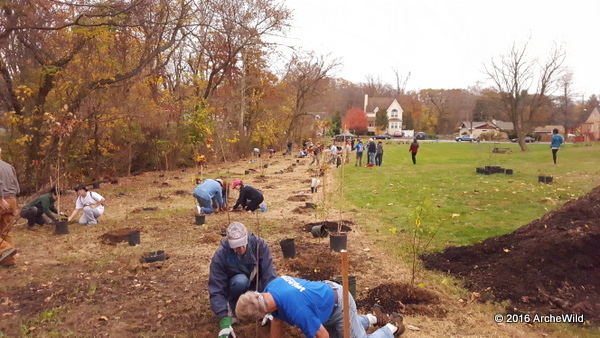 The Hurricane Sandy restoration process started with clearing paths to fully access the site, followed by intensive invasive control to allow the plantings to occur on schedule. The forest restoration site is located in EcoRegion 064a on a shale outcrop similar to what can be observed at St. Michaels preserve, operated by D&R Greenway Land Trust. Requisite shale barren species include Pycnanthemum incanum var. incanum, Doellingaria umbellata, Quercus ilicifolia, Solidago odora, and additional species for the dominant drainage swale including Leersia virginica and Ageratina altissima. 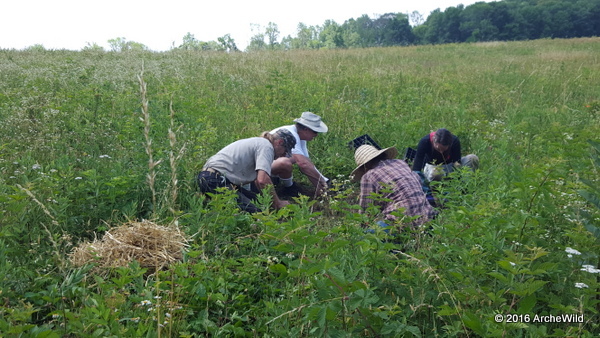 This planting day started with an hour long drill on weed identification and on Carex identification so that the crews could eradicate the undesirable species and keep the good ones. 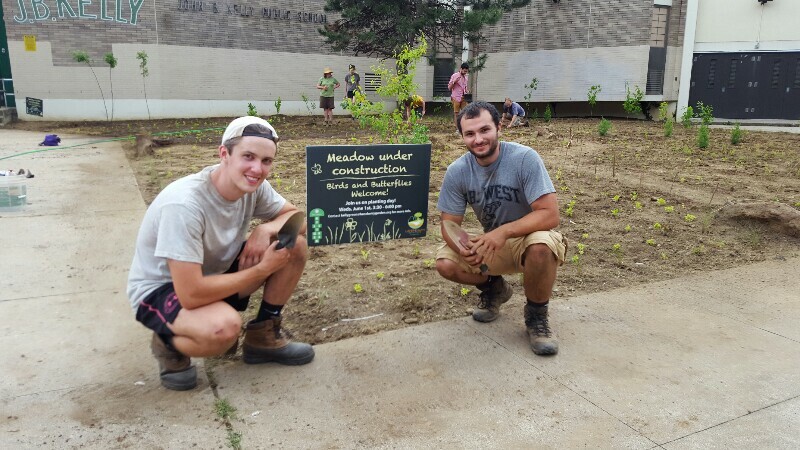 Pictured are new-for-2016 employees Robert Fuhrmeister and Benjamin Arcario.